A new New York State-grown farm product hit the Catskills consumer market for the first time yesterday, but it’s for sale only to those with certain medical conditions and the right paperwork. Etain Health opened a medical marijuana dispensary — one of only 20 such facilities approved statewide — at 445 Route 28 on the west side of Kingston yesterday. 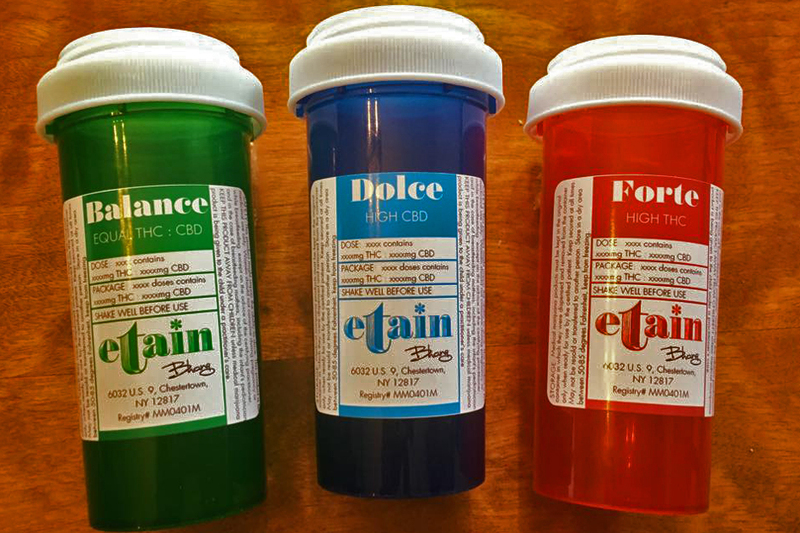 Etain is one of five providers authorized by the state to sell products derived from cannabis. Legislation approved in 2014 allows three types, all smokeless: liquids and oils for oral use (in the cheek and under the tongue); liquids and oils for vaporization (similar to e-cigarettes); and pills. Etain also opened a second dispensary in Albany this week. It grows and processes its crop at a plant in Warren County, in the Adirondacks. Etain, which is based in Katonah, is owned and run by three members of the Peckham family: mother Amy and daughters Hillary and Keeley. The trio was inspired to launch the business after watching Amy’s mother die of Lou Gehrig’s disease. Medical conditions permitted under the law include HIV/AIDS, Lou Gehrig’s disease, cancer, Parkinson’s disease and multiple sclerosis. The highly regulated system requires doctors to be specially certified to prescribe the drug. About 150 doctors have been approved so far, state officials said this week. Patients can apply online. Since patient registration opened Dec. 23, only 51 patients had been approved, the New York Times reported yesterday.